Smalts, Smaltz, Smalting or Osmalto is a time old tradition of making a long lasting textured Sign background by embeding aggregate smalt made fine pigmented glass or colored sands. Smaltings were most popular from 1865-1935. Originally Buildings exterior walls were coated with Smaltz from the second floor on up to extend the life of the paint job out 20-25 years. Eventually Smalts worked it's way up to the roof, and that's were we see Smalting on a mass with modern roofing tiles. Sand Smalts how to: Sand Smaltz were created by soaking by soaking sand in a mixture of Gasoline and Pigment for 3 days to a week, then drained, followed up by throwing the stained sand against dry cardboard to absorb moisture and left to dry. Sand-Smalts make a tough surface, but the colored paint pigment still faded and dont hold up to the test of time. Sand Smaltz were nice but were eventually replaced by colored glass smaltz. Colored Glass Smaltz are completely different. Colored Glass Smalts is made by mixing the color directly into the glass when being made, thus trapping the pigments color in glass giving Colored Glass Smaltz additional Ultra Violet ray protection from the sun. The nicest smalts are Transparent in nature, simular to precious stone like Rubies, Emeralds and Saphires. Transparent Colored Glass Smalts allow the light rays travel through and produce beautiful sparkling smalted backgrounds that endure at a true craftmens level. Sign Painters and Sign Makers come from the Construction industry known as finishers and grainers, began using Smalts in thier designed sign panels bacground and became the standard for many years still seen today in some of the nicest locations such as Disneyland, Resorts and Casinos. Smalts-American or Imported Translucent German Smalts Colors. Smalts enhance even the simplest of signs. Make your Client's Signage unique! Use Smalts as an accent color, for a sparkling boarder, or edge to edge background coverage with raised letters. With a smalted finish, your signs will stand out and get noticed. Smalts, Smaltz, Smalting or Osmalto FAQ: How much smalt will I need? Typically 1 pound of smalt will cover 1 to 1 1/2 square feet of area depending on how thick you apply it. how to make a smalt background. smalted signs step by step. Mask off sign area you're smalting with 1/8" sandblask mask. Pick a paint color that matches your smalts colors best. Use Gilders Smalt Cream or Smiths Cream and mix 50/50 with oil based enamels such as One Shot sign painters enamel or japan oil colors. fill exposed areas to be smalted with 1/8" of enamel. Let mixed Smalt Cream and Paint stand and level for 1/2 hour. Temperatures and drying times may vary, always make a sample piece and monitor and record cure times for smalt. apply smalt to background by sprinkling over wet paint in light amounts, and then repeat the process as if spraying on, don't pour on all the smalt at once, but make several or more passes, allowing time to let the Smalt sink into the smalt cream paint mix. The first couple of coats of smalt will sink all the way in, but slowly after a couple of passes the smalt will build up evenly. Smalted areas should set and level for 15-30 minutes, then if wet areas are still visiblesprinkle on more smalt on the wet surface until completely covered. Smalt Cream Paint mixture will left alone and not touched until cured and dry completely. Temperature and dry times vary greatly depending on your location or the time of year, wintertime can take longer to dry. Typical Smalt cure times are 24-48 hours, some taking 1 week to cure. Make a tester/sample panel to test dry time. Once your sure the smalt is dry you may Lift the Smalted panel and dump off excess and light pat the backside to assist, if your smalt is dry it will hold, if wet it will fall off in big chunks which you cannot repair so make sure your smalt is fully cured dry. Now remove any masked areas carefully. Afterwards you may then lift the sign and pat lightly and then clean up. Smalted signs tend to loose little amounts of smalt off the surface even during installations. avoid cuts from running your hands over the smalted surface, it's sharp. Black SmaltBuy Black Smalt Fine Approximately the size of sand. This is a Natural Product and may contain inconsistencies. Black colored S..
Black Smalt FineBuy Black Smalt Fine Approximately the size of sand. This is a Natural Product and may contain inconsistencies. Black colo..
Black Smalt MediumBuy Black Smalt Medium Approximately the size of coffee grounds. This is a Natural Product and may contain inconsistencies.&nb..
Smalt Cream is a non-yellowing drying painting medium used for creating subtle blending effects, an anti-sagging paint extender, painting lubricant an..
Smalts Air Force BlueSmalts Air Force Blue, 1 Pound Bag. Colored Signs Smalts, Smalts, Smaltz, Smalting or Osmalto is a time old tradition of maki..
Smalts AmethystSmalts Amethyst, colored Signs Smalts, Smaltz, Smalting or Osmalto is a time old tradition of making a long lasting textured Sign b..
Smalts Apricot PinkSmalts Apricot Pink, colored Signs Smalts, Smalts, Smaltz, Smalting or Osmalto is a time old tradition of making a long lasting..
Smalts Black 1 Pound s may vary, always make a sample piece and monitor and rec..
Smalts Bleu de FranceSmalts Bleu de France, colored Signs Smalts, Smalts, Smaltz, Smalting or Osmalto is a time old tradition of making a long las..
Smalts Bright Dodger BlueSmalts Bright Dodger Blue, colored Signs Smalts, Smalts, Smaltz, Smalting or Osmalto is a time old tradition of making a ..
Smalts ByzantiumSmalts Byzantium, colored Signs Smalts, Smalts, Smaltz, Smalting or Osmalto is a time old tradition of making a long lasting textu..
Smalts Cerulean BlueSmalts Cerulean Blue, 1 Pound Bag. Colored Signs Smalts, Smalts, Smaltz, Smalting or Osmalto is a time old tradition of making..
Smalts ClearSmalts Clear, 1 Pound Bag. Colored Signs Smalts, Smalts, Smaltz, Smalting or Osmalto is a time old tradition of making a long lasting ..
Smalts Cobalt BlueSmalts Cobalt Blue, 1 Pound Bag. Colored Signs Smalts, Smalts, Smaltz, Smalting or Osmalto is a time old tradition of making a l..
Smalts Colorless ClearSmalts Colorless Clear, 1 Pound Bag. Colored Signs Smalts, Smalts, Smaltz, Smalting or Osmalto is a time old tradition of ma..
Smalts Dark GreenSmalts Dark Green, 1 Pound Bag. Colored Signs Smalts, Smalts, Smaltz, Smalting or Osmalto is a time old tradition of making a lon..
Smalts Dark PurpleSmalts Dark Purple, 1 Pound Bag. Colored Signs Smalts, Smalts, Smaltz, Smalting or Osmalto is a time old tradition of making a l..
Smalts Dark RubySmalts Dark Ruby, 1 Pound Bag. Colored Signs Smalts, Smalts, Smaltz, Smalting or Osmalto is a time old tradition of making a long ..
Smalts Dark Silver GreySmalts Dark Silver Grey, 1 Pound Bag. Colored Signs Smalts, Smalts, Smaltz, Smalting or Osmalto is a time old tradition of ..
Smalts Dark Steel BlueSmalts Dark Steel Blue, 1 Pound Bag. Colored Signs Smalts, Smalts, Smaltz, Smalting or Osmalto is a time old tradition of ma..
Smalts Dark WisteriaSmalts Dark Wisteria 1 Pound Bag. Colored Signs Smalts, Smalts, Smaltz, Smalting or Osmalto is a time old tradition of ma..
Smalts Deep RedSmalts Deep Red, 1 Pound Bag. Colored Signs Smalts, Smalts, Smaltz, Smalting or Osmalto is a time old tradition of making a long la..
Smalts Egyptian BlueSmalts Egyptian Blue, 1 Pound Bag. Colored Signs Smalts, Smalts, Smaltz, Smalting or Osmalto is a time old tradition of making..
Smalts Faded Paris GreenSmalts Faded Paris Green, 1 Pound Bag. Colored Signs Smalts, Smalts, Smaltz, Smalting or Osmalto is a time old tradition o..
Smalts Fern GreenSmalts Fern Green, 1 Pound Bag. Colored Signs Smalts, Smalts, Smaltz, Smalting or Osmalto is a time old tradition of making a lon..
Smalts Flaming RedSmalts Flaming Red, 1 Pound Bag. Colored Signs Smalts, Smalts, Smaltz, Smalting or Osmalto is a time old tradition of making a l..
Smalts Forest GreenSmalts Forest Green, 1 Pound Bag. Colored Signs Smalts, Smalts, Smaltz, Smalting or Osmalto is a time old tradition of making a..
Smalts Gold RushSmalts Gold Rush, 1 Pound Bag. Colored Signs Smalts, Smalts, Smaltz, Smalting or Osmalto is a time old tradition of making a long ..
Smalts Golden BrownSmalts Golden Brown, 1 Pound Bag. Colored Signs Smalts, Smalts, Smaltz, Smalting or Osmalto is a time old tradition of making a..
Smalts GoldenrodSmalts Goldenrod, 1 Pound Bag. Colored Signs Smalts, Smalts, Smaltz, Smalting or Osmalto is a time old tradition of making a long ..
Smalts GreenSmalts Green, 1 Pound Bag. Colored Signs Smalts, Smalts, Smaltz, Smalting or Osmalto is a time old tradition of making a long lasting ..
Smalts Grey-GreenSmalts Grey-Green, 1 Pound Bag. Colored Signs Smalts, Smalts, Smaltz, Smalting or Osmalto is a time old tradition of making a lon..
Smalts Jungle GreenSmalts Jungle Green, 1 Pound Bag. Colored Signs Smalts, Smalts, Smaltz, Smalting or Osmalto is a time old tradition of making a..
Smalts LavenderSmalts Lavender, 1 Pound Bag. Colored Signs Smalts, Smalts, Smaltz, Smalting or Osmalto is a time old tradition of making a long la..
Smalts Lemon ChiffonSmalts Lemon Chiffon, 1 Pound Bag. Colored Signs Smalts, Smalts, Smaltz, Smalting or Osmalto is a time old tradition of making..
Smalts Light Asparagus GreenSmalts Light Asparagus Green, 1 Pound Bag. Colored Signs Smalts, Smalts, Smaltz, Smalting or Osmalto is a time old tra..
Smalts Light BronzeSmalts Light Bronze, 1 Pound Bag. Colored Signs Smalts, Smalts, Smaltz, Smalting or Osmalto is a time old tradition of making a..
Smalts Light PinkSmalts Light Pink, 1 Pound Bag. Colored Signs Smalts, Smalts, Smaltz, Smalting or Osmalto is a time old tradition of making a lon..
Smalts Maize YellowSmalts Maize Yellow, 1 Pound Bag. Colored Signs Smalts, Smalts, Smaltz, Smalting or Osmalto is a time old tradition of making a..
Smalts Navy BlueSmalts Navy Blue, 1 Pound Bag. Colored Signs Smalts, Smalts, Smaltz, Smalting or Osmalto is a time old tradition of making a long ..
Smalts OrangeSmalts Orange, 1 Pound Bag. Colored Signs Smalts, Smalts, Smaltz, Smalting or Osmalto is a time old tradition of making a long lastin..
Smalts PinkSmalts Pink, 1 Pound Bag. Colored Signs Smalts, Smalts, Smaltz, Smalting or Osmalto is a time old tradition of making a long lasting te..
Smalts Pistachio GreenSmalts Pistachio Green, 1 Pound Bag. 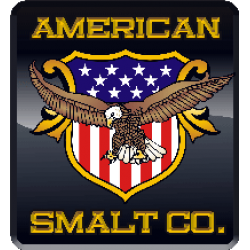 Colored Signs Smalts, Smalts, Smaltz, Smalting or Osmalto is a time old tradition of ma..
Smalts Powder BlueSmalts Air Force Blue, 1 Pound Bag. Colored Signs Smalts, Smalts, Smaltz, Smalting or Osmalto is a time old tradition of making ..
Smalts Silver GreySmalts Silver Grey, 1 Pound Bag. Colored Signs Smalts, Smalts, Smaltz, Smalting or Osmalto is a time old tradition of making a l..
Smalts Sweet PlumSmalts Sweet Plum, 1 Pound Bag. Colored Signs Smalts, Smalts, Smaltz, Smalting or Osmalto is a time old tradition of making a lon..
Smalts Tiffany BlueSmalts Tiffany Blue, 1 Pound Bag. Colored Signs Smalts, Smalts, Smaltz, Smalting or Osmalto is a time old tradition of making a..
Smalts Tufts BlueSmalts Tufts Blue, 1 Pound Bag. Colored Signs Smalts, Smalts, Smaltz, Smalting or Osmalto is a time old tradition of making a lon..
Smalts Turquoise BlueSmalts Turquoise Blue, 1 Pound Bag. Colored Signs Smalts, Smalts, Smaltz, Smalting or Osmalto is a time old tradition of maki..
Smalts VermilionSmalts Vermilion, 1 Pound Bag. Colored Signs Smalts, Smalts, Smaltz, Smalting or Osmalto is a time old tradition of making a long ..
Quart Smiths Cream is a non-yellowing drying painting medium used for creating subtle blending effects, an anti-sagging paint extender, painting lubri..